Bandipur Safari is by far one of the most ethical wildlife experience available in India, and also one of the most favorite things to do for Bangaloreans on weekends. This densely forested area is the gateway to many popular hill stations nearby – Ooty, Kodaikanal and Wayanad to name a few. Once the favorite hunting ground of the royal families of Mysore, this is now a safe abode for the wild – elephants, antelopes, spotted deer, peafowls, and many other native species including the majestic tiger. Bandipur along with three regions – Nagarhole (also in Karnataka), Wayanad (Kerala) and Mudumalai (Tamil Nadu), form the largest Tiger Zone of India both by area and by number (an estimated 570 tigers in the zone, most of which is in Karnataka). The jungles are interconnected though administered separately by three different states – an exemplary inter-state collaboration for wildlife protection. My love for the Western Ghats of India is not a secret, so every time we went on our regular weekend escapades in search of some hidden gems in the bejeweled crown of the Nilgiris, I always hoped to see just a glimpse of a tiger, or cheetah or maybe a panther. We’ve seen a flock of delicate deer roaming around us in Nagarhole and the wild elephants on their own family picnic on our way to Ooty, but never had the fortune of tiger sighting – not until we booked a serious 6-hour safari with the Jungle Lodges. Did you know? India is now home to 70% Tigers in the world !! This was the full package that amounted to Rs.7500 per-person for a two-bedroom cottage nestled in a beautiful green forest-like setting. All the cottages had exquisite wall paintings of wild animals that live in the Bandipur jungle – sloth bear, elephants, deer, leopard among others depending on the name of the cottage. We had a life-size leopard on our wall! Rooms are clean and spacious but do not have TV or AC (eco-tourism, remember?). There is a cooler instead but because of the greenery and architecture of the cottages, it was quite cool inside the rooms and we didn’t need to use it at all. With the packed schedule of events that we had, there was no time for TV either. We quickly freshened up to make the best use of the little buffer time we had before lunch, to experiment with our newly purchased Nikon DSLR camera. After a wholesome lunch, I changed into darker shades as instructed for Safari and we took off for our first safari scheduled for 3:30 pm to 6:30 pm. We looked like the most under-prepared idiots out there among the experienced wildlife photographers. They had caps, masks, sun gloves, 200mm/500mm lenses and I even forgot my hairband (rest of the things were not even on our packing list). We were already burning in the scorching sun and knew difficult times were ahead in the safari. As the jeep roared past the roads into the depths of the jungle, the thick canopy relieved us from the sun but the dust took over and clogged our nose already. That couldn’t stop us from enjoying the rich flora and fauna of the jungle, the experience of raw nature. At this point let me delve deeper into why tiger sighting in Indian jungles is way more difficult than sighting lions in Africa. It’s the elusive skin of the striped beauty and their preferred terrain. Lions usually live in the deserts which have light vegetation, meaning clearer vision for photographers or even normal travelers. The tigers, on the other hand, live in dense forests and their skin helps them camouflage with the trees. All the jeep drivers in the safari are also experienced forest guides and they know how to follow the sound of birds and track the trails of a tiger. About an hour into the safari we spotted a dash of striped skin blended with the bushes, from a distance of at least 150 meters. We waited there for almost another hour till she woke up, watching some rare birds including the magnificent peacocks in the meantime. As we waited like the paparazzi with our cameras (without flash) we saw the tiger wake up finally, do a few stretches and then just fade into the jungle. Our 18mm-140mm camera was not good enough to take the perfect pictures of the tiger but we managed to capture the beauty of the jungle and the glorious sunset. Last day we wrestled with the heat, and today was our tryst with the cold wind of early morning as we breezed past the highway into the jungles. Yes, we didn’t bring stuff to protect us from the heat and dust, neither did we bring even a jacket for the cold. Throughout the safari, we kept following a tiger’s trail closely and followed the sound of birds but failed to spot the striped beast. I know it sounds exactly like hunting, except we were a different kind of “shooters”. We met other groups on our way who were delighted to show us the shots of the tiger drinking water from the lake. This was turning out to be the most boring experience I could imagine, just sitting still in a jeep at some part of the large forests, with the hope of seeing something. This is what’s meant to be a wildlife photographer I wondered, while I was convinced that nothing good is going to happen while just waiting here and we should just take off. We did see some peafowls and monkeys, but if you live in India, the sight of monkeys is not as exciting as it might sound. With an empty heart, we set off to leave the forest when right there in the middle of the road just 5km away from the exit sat the tigress. It felt as if she was playing the Diva and we were those page3 photographers feeling blessed in the presence of Mademoiselle. There she was basking in the sun in the morning sun looking at us and then turning around uninterested. People with those long lenses started shooting her, and comically they indeed looked like snipers in action. We were in an open jeep, unarmed except with our cameras and binoculars, standing a pounce away from the mighty tigress – but there was no fear in our hearts, only awe and the joy of this golden rendezvous. Yes, we managed to take some pretty satisfactory pictures as novice photographers as well! Want to drool on some more pictures? Check our photo story. For more wanderlust in Karnataka check out our story on Talakadu, Shivasamudra and BR Hills . Love wildlife? Read about Masai Mara Safari in Africa. -Wear Darker colors and don’t look “Glossy”. While in the jungle maintain silence as much as possible. I know this part is difficult given the excitement, but it’s worth it! If you like what I write, do Subscribe for more stories and detailed tour guides. You can also follow me on Facebook and Instagram for your daily dose of wanderlust. This is an in-depth post with some relevant information. I've been on a few safaris in africa, but never a tiger safari in india. I've been trying to convince my good friend to take me to visit bandipur (where he's from) so I can see the tigers. Your pictures make it look magical! Can't wait to go. What a fun tiger safari, and ethical to boot! Isn’t it shocking how much equipment some people carry and here I am with my iPhone! I’m so glad that persistence paid off – that tigress just wanted you to appreciate the moment so much more! I love that you mention responsible tourism. 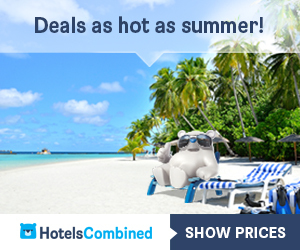 It's such an important factor now, when tourism grew to the enourmous business. This is so interesting to see tigers in their natural habitat. I've never done anything like this, or been to India, so it was a fascinating read. I appreciate the tips on clothing and staying quiet as much as possible, it's so helpful. Tiger safari sure sounds very exciting! I would be so nervous though but it would be awesome to see them in life in the nature. Such a beautiful animal! This must of been such memorable trip you, you will never forget it! I am so glad I followed along with you. I was starting to worry you wouldn't see a tiger either (and I was thinking the title was just a tease! ), but finally!!! Yay! Also, I love that the tour is both in the afternoon and in the early morning. Just to give you that extra shot at seeing a tiger. (And it must be a good documentary to keep you awake with a headache!) Thanks for the info! I have been wanting to do the tiger reserve in India for sometime now but was lacking information first hand. You post is great and shares a more unknown safari park then the ones normally promoted. It is eco friendly as well which I appreciate. Love the photo of the tiger on in all its glory that you managed to click. Thanks. Can't wait to visit this paradise in the future. Though I stay in Bangalore but never been to Bandipur. I am bookmarking this page for my future reference since I found this very informative. Do they have one-bedroom cottages too? Safaris are amazing but we should never forget about ethical and responsible tourism. I'm glad you mentioned that part. Bandipur looks simply amazing! I haven't tried the safari travel, and I think this is something that is wont experiencing. I am glad that you promote ethical tourism because this is always overlooked or dismissed. Which part of your experience is your favorite? What a fun adventure experience you had. I did the Tiger Safari in Corbett but never saw any tigers. Need to check out Bandipur for sure. This post brought back very fond memories. As here on Bandipur Safari, I saw white tiger for the first time in my life and so far, the last time too. Haha. I love how strategically this park is located and how close the other national park and places of interest are. Did not know that Bandipur along with three regions is the largest Tiger Zone of India. We had gone on a day trip from Bengaluru. Next time, would keep your lodge experience in mind. Loved the notes on for Ethical Safari as many a times, in excitement, many travelers kind of miss them. Wow, thanks for sharing a detail post on Jungle safari with lodging in Bandipur. I would love to take this as from long time, I have not gone for any forest tours. It is great that rooms are eco-friendly ones and they don't have A.C. and T.V.. Sometimes while traveling T.V. and other electronics in the hotel room are nuisance. Also early morning wake up call at 5:30 A.M. is great because I love early morning forest tours. You were lucky to spot tigers in both your safaris! 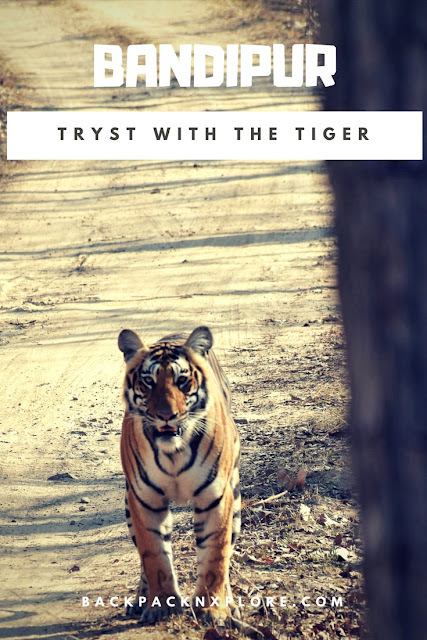 We went to Ranthambore in Rajasthan and just like you, we did one afternoon safari and one morning safari and unfortunately, I did not see one single tiger in either! We were so disappointed, I cannot tell you. Nevertheless, the experience of living in a jungle lodge was fantastic.